Did you know that every day over 150 cases of slip and fall accidents are registered here in the US by paramedics and medical facilities? 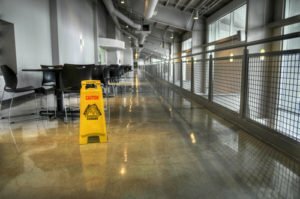 Such accidents occur often, but most people don’t know what to do outside seeking medical attention in the wake of a serious slip and fall accident.You need to reach out to a legal practitioner – a slip and fall accident attorney for advice and proper counsel as regards the best legal approach to take. Getting in touch with a competent one will help ensure that you are compensated for the pains and distress you have been put through. For that purpose, you would need the services of a reputable attorney, one that has the qualification, reputation, and resource to bring you the much-needed victory. There’s no other firm to rely on here in the City of Industry, CA than Rawa Law Group. Rawa Law Group is a law firm of repute, outside the host of intelligent and highly experienced top players we have, we also have the track record of excellence spanning over two decades. With us, you are guaranteed a professional and personal representation. Our investigators, working together with our attorney will help ensure that you are well suited for compensation, and then we will take on your case and bring you the much-needed victory. One thing that makes our service unique is our one-on-one approach and our payment arrangement. Throughout the handling of your case and representation in court, you are not obligated to make any payments until your case has been won. Are you thinking of hiring a resourceful slip and fall accident attorney in City of Industry? Let us at Rawa Law Group get you your victory. Reach us via the address below.